This week’s reviews are of three retold folktales. The first will appeal to even the youngest child while the other two are appropriate for ages five and up. 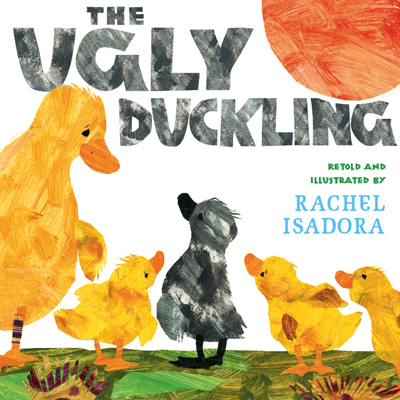 The Ugly Duckling: Retold and Illustrated by Rachel Isadora. G.P. Putnam’s Sons, 2009. The vibrant oil paintings of this version of Andersen’s tale evoke the African landscape and animals. If your little one, (or you) have seen The Lion King these illustrations are sure to bring back memories of Simba and Rafiki. Isadora, who lived in Africa over a ten year period, was inspired to retell common fairy tales in an African setting. Everything from the tropical plants to the humans in this story is decked out in the most colorful finery I’ve seen in a children’s picture book. The youngest child will be fascinated by the colors. Older children will delight in the story and appreciate the detail in the paintings, and parents will be glad to re-read this classic just to revel in the art one more time. 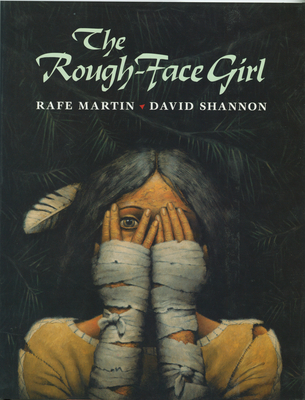 The Rough-Faced Girl by Rafe Martin, illustrations by David Shannon. G.P. Putnam’s Sons, New York, 1992. In the Author’s Note, Rafe Martin says, “One way in which the universal yearning for justice has been kept alive is by the many tales of Cinderella.” This is the story of three sisters: two—cruel and full of conceit; the third—a humble girl whose hard—hearted sisters force her to sit by the fire even as hot coals sizzle and pop onto her. In their village is a large, beautiful wigwam in which lives the powerful and handsome Invisible Being. No one is able to see him except his sister. The young maiden who proves she, too, can see him will be allowed to marry him. The cruel sisters ask their poor father for all the buckskin and beads he has so they can dress up and try to win favor with the Invisible Being. However, when they approach the sister who guards the Being’s wigwam, they are in for a nasty surprise. This retelling of the Cinderella story is poignant and timely. The Being’s sister can see not only outward beauty, but that which is inside the most humble. It is a lesson for all time and certainly for today’s little girls who are surrounded by media that shouts a very different message. 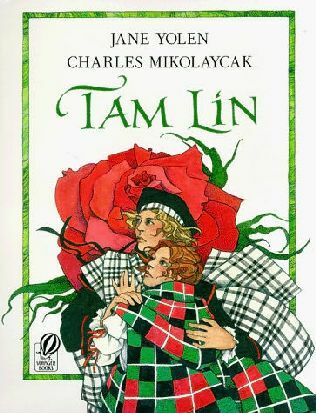 Tam Lin by Jane Yolen, Illustrated by Charles Mikolaycak. Harcourt Brace Jovanovich, New York, 1990. “D o not go down to Carterhaugh” the adults warn the children. For Carterhaugh, once the property of the MacKenzie’s, now belongs to the Fairy Folk. But Jennet MacKenzie is a headstrong girl and determined to win back Carterhaugh for her clan. This re-write of an ancient child ballad will remind many of Fairport Convention’s song by the same name. The determination of Jennet to free her castle from the Fey people and save Tam Lin’s life will surely appeal to determined young girls everywhere. Definitely a picture book for the older child, Mikolaycak’s beautiful watercolor and pencil illustrations depict an ancient Scotland that is both terrifying and mysterious. This one will appeal to all those lovers of magic, whether or not Scottish blood runs in their veins.